Don’t be jealous, but I have my own “Ashi.” Well, that’s how my sister puts it when referring to my sage. My sister often comes to me in search of advice when I soon realize it’s not mine she seeks. She’ll patiently hear me out before casually asking, “What would your Ashi say?” I think she’s a bit jealous. I suppose if I was her, I might be, too. Truthfully, I don’t have “an Ashi.” But, I do have a dear friend named Ashi, (pronounced “aw-she”–I know, cool name, huh?) with whom I have been friends for over 14 years. Initially, we worked for the same company, she as office manager and me as a contract consultant. I remember watching her in amazement. Despite the chaotic environment, her organizational skills were beyond reproach! So, when she ventured out to begin a contract administrative support business, I eagerly signed on as a client. Neither of us predicted what would come next. Over the years, Ashi has helped me as I’ve eliminated the clutter that crowds my counter tops, fills my closets and covers my desk. Long ago, she helped me realize that if anything, be it a pair of shoes, piece of jewelry, or a gift from a friend wasn’t something I still truly loved, it was clutter. And that running out of room to store my “stuff” didn’t necessarily mean it was time to shop for a new home; it meant it was time to release clutter, physically and emotionally. Then it hit me; I had either truly lost it, or I had too much clutter in my mental closet. Fearing the alternative, I set my focus on decluttering my mind. Naturally, I turned to my “declutter guru,” Ashi. 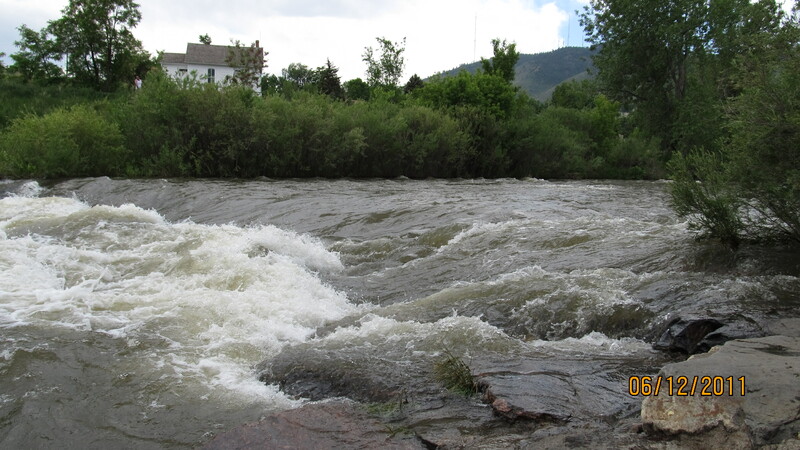 In her last blog post, “How much is enough” (http://graceyourspace.com/blog/?p=45), she wrote of the overwhelming energy of the fast-flowing St. Vrain River. As she stood by the banks, she recognized her inability to fully relax as the water charged by. It was too much. Like too many items atop a dresser, the water’s dramatic flow cluttered her senses. She and her husband moved on to find a smaller, calmer creek offering her enough room to breathe and to think while enjoying the nurturing sounds of moving water. She had found her balance. I reflected on her words and how they applied to the thoughts that rushed my mind like the fast-flowing water. I sifted through the mental demands as they came to me asking, “Is this one mine to do something with/about? How is this supporting me/my family?” When it was both mine and supportive, I held on to it. When it was neither truly mine nor supportive, I said a prayer and released it. And so went the decluttering process of my mental closet until, by the end of the day, there was room again for peace. I took a deep breath and rested by the banks of the newly calmed waters. Without material items to pick up, dust off, and physically place in a “keep” or “go” pile, the process of sifting through “mental clutter” can feel as emotionally taxing as sorting through my childhood memory box. However, as I have learned from Ashi, the rewards of a decluttered mind are as revitalizing to the spirit as walking into a freshly decluttered and organized living space. Perhaps, even more so. Just what I needed as I deal with so much coming my way this month! Thanks! From what I have read on your blog, you do have much going on this month! Breathe deep and good luck– Holding good thoughts for you! What a wonderful post and very timely as we gear.up for the back to school craziness. I particularly liked the questions you posed to yourself to assess whether you should let go. I think I’ll borrow them. Thanks for the feedback, Nancy! When I remember to use them, those questions save me a lot of energy ! Happy new school year!